Citrus Heights will soon get an extra $5-6M per year. How should it be used? 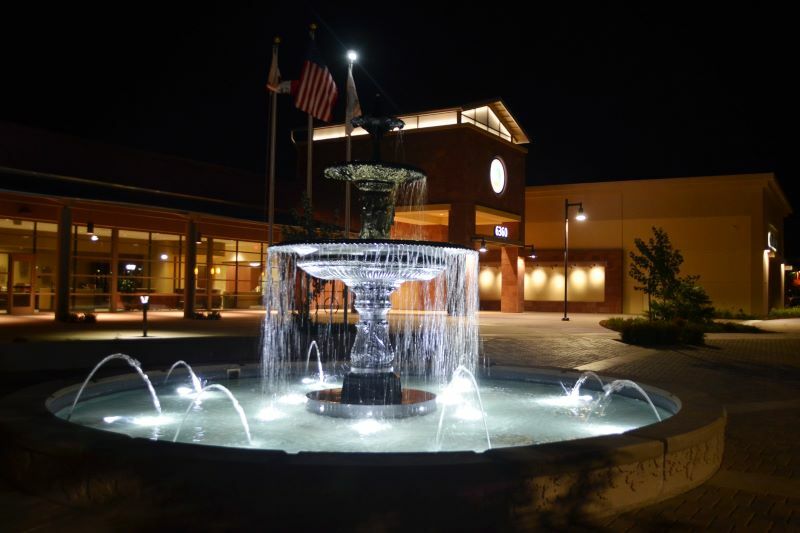 In a few short years, the City of Citrus Heights will get a long-awaited boost of an additional $5-6 million to save or spend as it pleases — and put in perspective of the City’s current general fund budget of $36.6 million, that’s no small amount of money. The funding will come from the expiration of a “revenue neutrality” agreement with Sacramento County that will come to an end in 2022. The agreement dates back to when Citrus Heights incorporated in 1997 and reluctantly agreed to have its property taxes be given to the County for 25 years, to compensate for projected negative fiscal impacts the County would incur from Citrus Heights splitting off to govern itself as a city. While the City technically has been receiving its property tax revenue each year — under the revenue neutrality agreement, that money gets transferred out to the County each year and is not able to be otherwise spent or invested by the City. The amount of property tax revenue generated in Citrus Heights is currently about $5.5 million per year, but that figure is expected to exceed $6 million by 2022, according to a 10-year budget model included in the latest City budget. Beginning in fiscal year 2022-23, the City will retain all of its property tax revenue, which means the three city council members who will be elected to four-year terms this November will each have a say in how that money will be invested or spent during the budget approval process in 2022. So how will the money be used? The five candidates running for Citrus Heights City Council this year were each asked that question at a forum last week and their 60-second answers are included in their entirety below. Candidates include three current council members who are up for election — Mayor Steve Miller, Vice Mayor Jeannie Bruins, and appointed Councilmember Al Fox — along with two challengers, Planning Commissioner Porsche Middleton and labor relations manager Treston Shull. All five were largely in agreement that funding should go towards roads and infrastructure. There was also agreement that a portion of the money should be put back into building up the City’s dwindling reserves — which, according to the City’s 10-year budget model, is projected to drop to about $350,000 by the year 2022. By comparison, before the construction of the new City Hall, the City had more than $20 million built up in reserves. Steve Miller: “Well, I think by the time it comes around, it’s over $5 million now and I believe it’ll $6 million by the time we start receiving the property taxes with the 2% increases that we see every year. We’ve prepared, we set policies, in that we will be putting aside money and building back our reserve. We knew we would have to draw it down to make it to the end of our revenue neutrality agreement and I think that’s prudent. What that number is, $2-3 million a year, in 10 years we can have our reserve back up to $20-30 million. Treston Shull: “So, if you actually look at the City budget, it does show that we will be getting our property taxes in 2022 and that’s important because the City actually has the sales tax for the City going up. Now, we are a brick and mortar community — we have been for years and years and years — and two of the largest sales tax contributors were Sears and Toys “R” Us, both of those are gone. So for us to — for the City to assume that the sales tax are gonna continue to go up, I believe is not true. And that’s a majority of our money for the City. Al Fox: “If they do lose the SB 1 funding, which it looks like they are going to, we still have the opportunity to prepare to meet the needs that we have for infrastructure improvements with the fundings that come out of the property tax, because it’ll give us more money to have matching funds to go out and get grants necessary to make those things happen. Porsche Middleton: “Well, all the good answers are taken. But they’re all true. We need to build back our reserves. We need to get ourselves back to where we were 10 years ago when we had $20 million-plus in the bank and we knew that we could weather a storm. That’s important. We need to make sure that we’re able to put aside money into our reserves, rebuild and resurface our streets. We need to make sure that our commitment to our City employees is honored, because they work for us and they serve us and that’s important; that’s critical. And we also need to make sure that we really be very frugal and conservative about any new projects that we take on. We need to make sure that we are very careful about spending money. Jeannie Bruins: “I think we all agree we need roads, so I’m not going to readdress that. But what I would like to say is that we’ve gotten this far because we intentionally budgeted on a 10-year model. And when we became a City, we knew that we wouldn’t have our property tax for 25 years as a result of revenue neutrality. We thought that we’d have crossed over much sooner than now, where we would have to take our reserves and use them for operating expenses. Because of our philosophy in prudent financial management, we have not had to do that. Want to share your own thoughts on how the money should be spent or invested? Click here to submit a letter to the editor for publication.